Away from the hustle and bustle of Marrakech, we’ve unearthed a little Moroccan gem. Hide away in intimate luxury amid the peace, quiet and tranquillity of the Domaine Malika, a dreamlike guesthouse surrounded by dusty red mountains, pine trees and aromatic lemon groves. 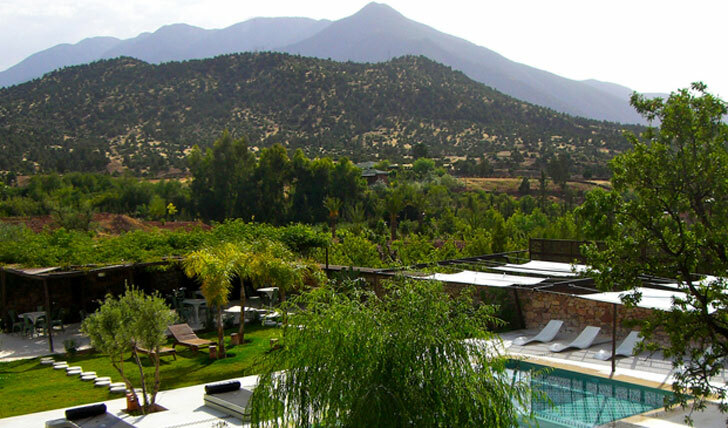 On the fringes of the sleepy village of Ouirgane, just over an hour from the souks and sights of Marrakech, the Domaine Malika lies in the Ouirigane Valley, an expanse of dust-bowl basin bordering Toubkal National Park. The air is sweet and the views of the Atlas Mountains utterly breathtaking. You’ll be treated more like family than guests in this exclusive 7 room retreat. Kick back in the pool, indulge at the private hammam or take a guided walk through the valley and surrounding foothills before candlelit dining alfresco among the olive trees. An angular modern edge to classic North African architecture, the earthy tones of the Domaine blend perfectly with the picturesque surroundings. Light floods the spacious rooms and their private terraces. 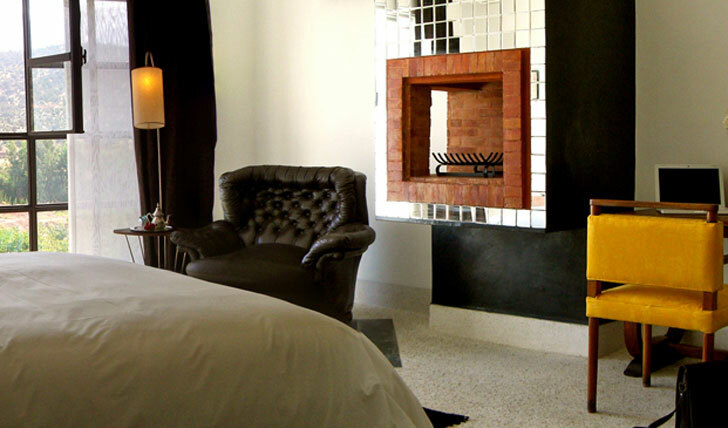 The beds are cozy and the tiled bathrooms are great for a pre or post-pamper pre or post-hammam. Charm, comfort and style à la marocaine. Très nice indeed. We like a good welcome, a smile goes a long way, but at the Domaine Malika Paul and Agnes treat you like long-lost relatives. In the peaceful solitude of the setting, it’s a wonderful feeling to be greeted with such warmth and care. The cuisine at the Domaine is fresh from the private vegetable garden, orchard or sourced from local souks. We loved the balance of old and new that made up the mouth-watering menu. Top tip: Try the honeyed cream with lavender and saffron.